There’s no such thing as disappointment at the Southwell Festival – except when the tickets sell out. 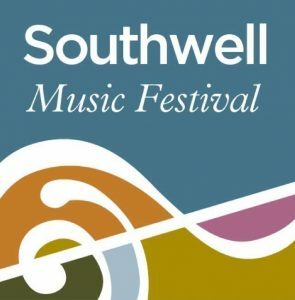 Forget about births, marriages and deaths: it’s the annual Southwell Music Festival that’s the real life event. It’s not at all unusual to hear audience members declaring that some of the richest musical experiences of their concert-going lives have occurred in the five years of the Festival’s existence. Many events quickly become sell-outs – and you can see why. 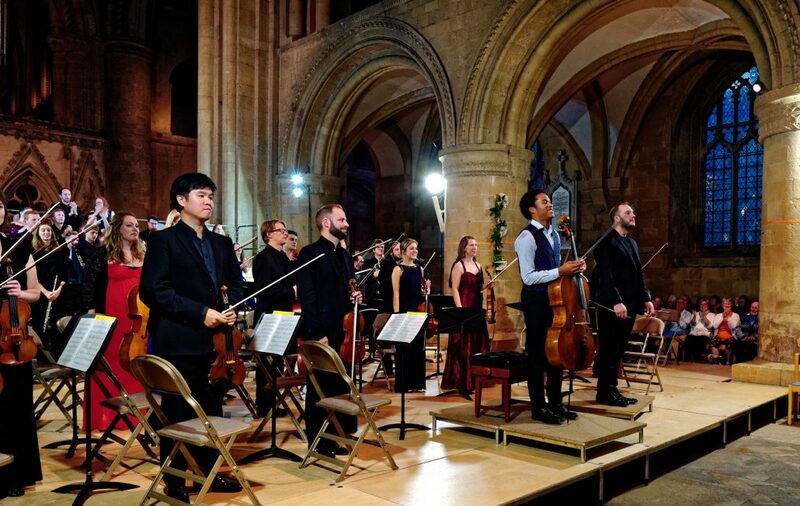 Take just two events from the 2018 Festival: standing ovations for the exceptional performance of Bach’s B Minor Mass on the opening Wednesday and for another superlative interpretation from Sheku Kanneh-Mason, this time of Elgar’s Cello Concerto on Saturday night. As the Festival grows, so the task of assembling the artists, creating the ever more adventurous programme and ensuring that such a wealth of talent is used to maximum effect must become more complex. That it all works so smoothly is a testimony to the dedication not only to the many musicians but also to the team of administrators and volunteers who are also on hand to direct operations and welcome visitors with such warmth and enthusiasm. And at the helm, with seemingly endless energy, is the Festival’s Artistic Director Marcus Farnsworth. Colours were well and truly nailed to the mast on the opening day. It takes both courage and confidence to start a Festival with Bach’s B Minor Mass: magnificent music which makes almost impossible demands on the performers. Marcus Farnsworth’s direction was masterly, moulding the outstanding vocal and instrumental forces gathered together into an intuitive chamber ensemble, not only producing beautiful sound individually but also listening, responding, communing with each other, subsuming their own artistry into a greater whole. Pianist Clare Hammond was one of several Nottingham artists to feature this year. Her stylish, elegant way with a Haydn sonata delighted those attending her Saturday lunchtime recital. Her sense of humour emerged with three short depictions of bees by Mendelssohn, Rimsky-Korsakov and (hilariously) Ewan Campbell, whose Flight of the Killer Bee certainly had a sting in its tail. Vividly colourful, excitingly dramatic performances of five Debussy Préludes and Stravinsky’s Petrushka completed her programme. 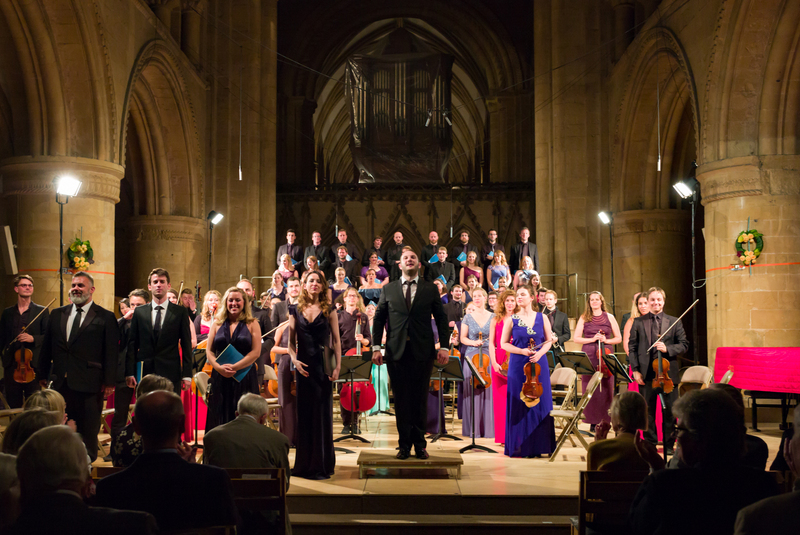 Amongst the wealth of chamber music on offer was an evening of works by Czech composers. The Festival Chamber Soloists spoke the musical language of Dvorak’s String Sextet with an entirely authentic accent. Pianist James Cheung and soprano Alison Rose followed with Dvorak’s richly tuneful Seven Gypsy Melodies, the score really blossoming in their hands. And then in the second half came one of the most intense moments of the 2018 Festival, the searchingly intelligent performance of Janacek’s The Diary of One Who Disappeared by tenor Andrew Tortise and mezzo Madeleine Shaw. There will be many more commemorations of the Great War this year, but surely none will be more exploratory than Sunday night’s For the Fallen, a programme which juxtaposed such diverse composers as Suk, Stuart Macrae, Butterworth and Stravinsky. 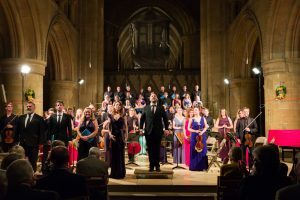 The wealth of vocal and instrumental expertise and the intelligence behind the programme’s planning made this a poignant tribute to victims of human conflict. If you could distill the huge diversity of events into just two hours, Saturday night’s concert would do nicely. The Minster, as full as it’s ever been with audience, musicians and volunteers, witnessed not only Sheku’s extraordinary talent in his heart-stoppingly lovely performance of Elgar’s Cello Concerto but also a thrilling interpretation of Tippett’s challenging A Child of Our Time. If all this has whetted appetites for next year, it’s best to run to the box office as soon as the starting pistol fires. There’s no such thing as disappointment at the Southwell Festival – except when the tickets sell out.